My knees are burning. That's because I played in the annual Powder Puff Flag Football game against the senior girls today and took a few beatings for the team. I played on the defense and I rocked it! I pulled off six flags. The first one is where I got my battle scars. The girl (my student Martika) was running down the sideline, I rushed after her, took a leap, grabbed her flag pulled it off, slid on the ground, and scratched up my knees all in one fell swoop stopping her from the touch down. Early in the game I wasn't out there and that is the one time the seniors were able to make a touch down. 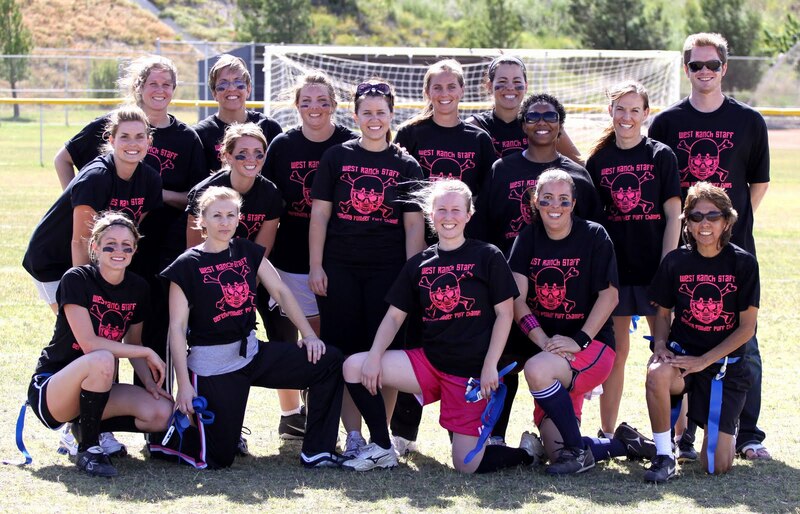 Sadly, the staff offense didn't score, but it was 50 senior girls against 15 staff members, so we held our own! How fun for you. sounds like that old competitive side of you came out. You look like oneof the senior girls.